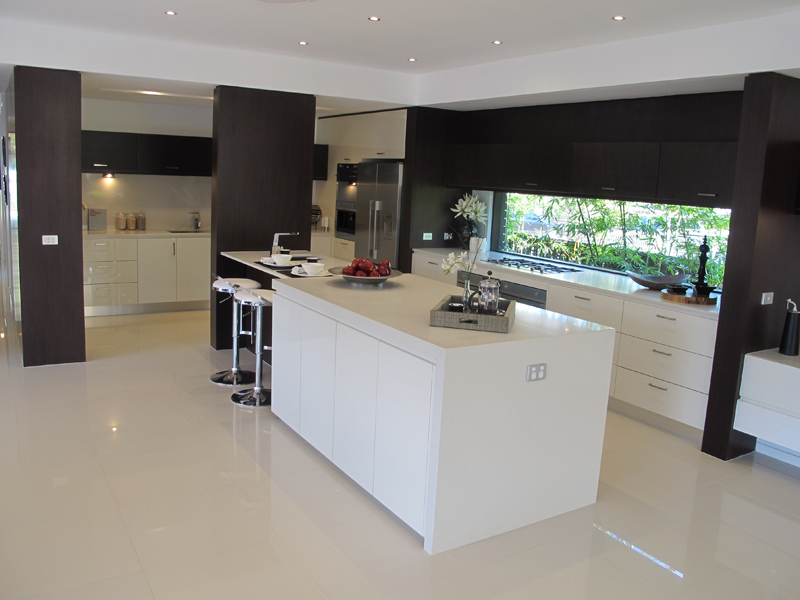 We can help you design & install a Kitchen you love. You probably haven’t heard of Castlewood Kitchens, even though we have been in business for over 30 years. 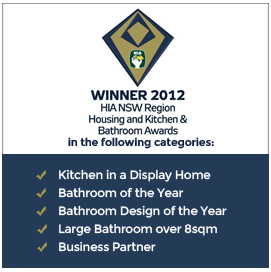 This is because we don’t need to advertise: all our clients are either repeat buyers or recommendations. 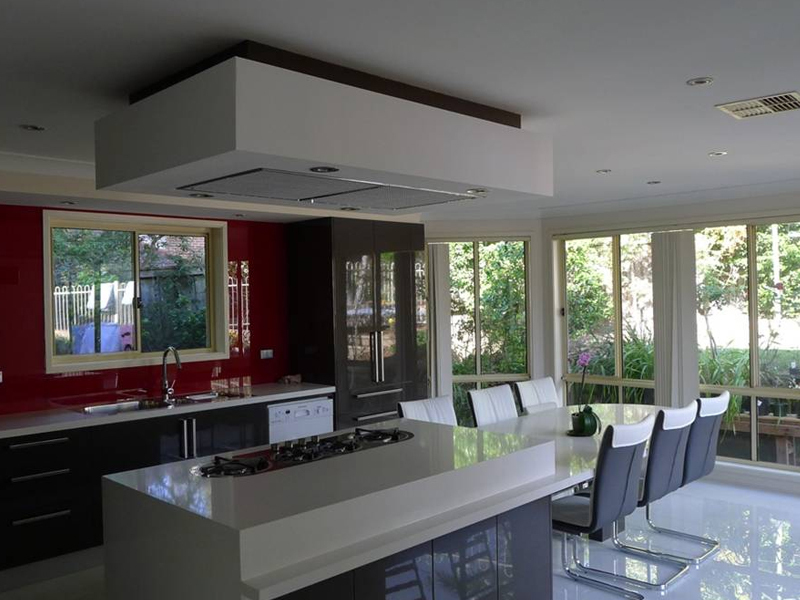 Over the years, we have provided kitchens, vanities and laundry cabinets for many private clients, and for major builders including Sekisui, Allam, Clarendon and Metricon. Castlewood Kitchens is a family company, established in 1984, and owned by Mario and Colleen Abela. We have now grown to include the second generation of the Abela family, and employ over 25 people. We now operate as a family trust, but it is still the same company established over 3 decades ago. Many of our employees have been with the company for over ten years, with three of them notching up over 20 years service; Castlewood looks after our employees the same way we look after our clients. Many of our subcontractors have also been with us for over 10 years. Our success is due to the fact that we pride ourselves on providing a quality product at a realistic price, while always doing business with honesty and integrity. We don’t want to be the biggest kitchen manufacturer around: we like to keep control of everything, so we can still provide the personal touch. Most of our employees are tradesmen, including our designer, most of our office staff and our delivery driver, so you know their expertise means that your kitchen won’t just be a series of premade boxes with lots of wasted spaces: your kitchen is custom built to suit your home. Because every kitchen for our private clients is different, we don’t have a showroom- it would be impossible to show all the options and finishes. We do have sample doors, laminates and stone on hand, and there are always lots of finished cupboards waiting to be delivered, so you can check our workmanship. And of course, you can get whatever you want- although we will try to talk you out of something we think won’t work or don’t recommend. So join the growing list of people who don’t have to spend a fortune to have a quality kitchen that they can be proud of: call Castlewood! ABN 27 153 820 561.